Tom Ward and partner Brian Livesey, owners of Waterside Realty moved their office from Siesta Key Village, south to Crescent Plaza. Waterside Realty resided in the Village at 5221 Ocean Blvd. since 2002. 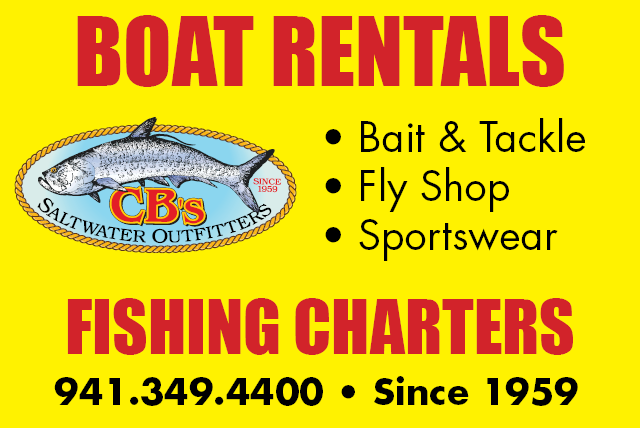 Their new location is 6629 Midnight Pass Road next to Miguel’s Restaurant in Crescent Plaza. www.WaterSideRealty.net Office 941-346-7454. Food Network recently named THE TOASTED MANGO CAFÉ best waffle in Florida in their 50 State of Waffles article. Of course, it’s their toasted mango waffle that received the nod. The article states, “The airy malted discs – pressed for exactly three minutes – arrive crisp and warm, adorned with cubes of ripe mango, toasted coconut flakes and whipped cream.” No wonder the wait line extends outside its doors most mornings. It turns out that Siesta property owner and proprietor Chris Brown and his business partner, Mike Granthon, not only bought the Key Corners Center late in 2017, but they also purchased the Lofino Building at 5011 Ocean Blvd. People may remember the latter structure was home to the Pelican Press for many years. Brown and Granthon also are partners in the Beach Club, The Hub Baja Grill, The Cottage and the new Summer House restaurant, where Blue Que used to operate, located at 149 Avenida Messina. The Summer House reprises the name of a much beloved restaurant that stood for years on Midnight Pass Road. The new restaurant’s website calls Summer House “an elegant relaxed transitional steak house with a seafood attitude.” The Summer House opened on March 19, according to its Facebook page. Brown stated last fall that he long had believed the Village needed an upscale steak and seafood dining establishment. As for the Lofino Building: Brown’s limited liability company, Ocean Blvd, purchased the 18,211-square-foot property on Dec. 2, 2017, according to the Sarasota County Property Appraiser’s Office. He paid $1,350,000 for it, the records show. The previous owner formally was Lofino Family LTD, those records say. The structure dates to 1996. Brown has talked with SNL of his continuing efforts to find more valet parking spaces for his Village businesses. The Lofino Building does have a parking area beneath the building and space on both sides of it that can accommodate vehicles. 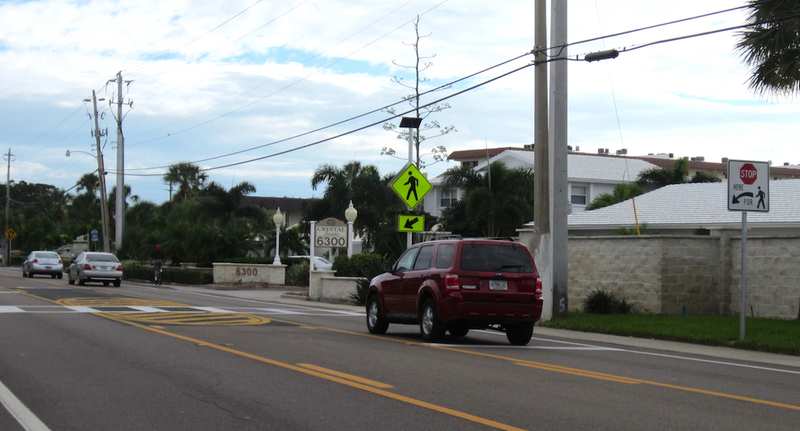 During the April 5 Siesta Key Association (SKA) meeting, President Gene Kusekoski talked of how repetitive use of any one of the crosswalks on Midnight Pass Road between Beach Road and Stickney Point Road can back up traffic. The Florida Department of Transportation (FDOT), he pointed out, did not program the crosswalks to provide a brief delay between uses. As a result, he said, people constantly can stop the flow of vehicles. Recently, he and his wife finally had managed to get back onto the island after crossing the Stickney Point Road bridge, Kusekoski continued. They had to wait in traffic as one person at one crosswalk hit the button and crossed the road. Then, no sooner had that person reached the other side of the road than another person walked up, hit the button to activate the lights at the same crosswalk and began heading to the other side of the road. As the lights stopped flashing, a couple of children ran up, whacked the button and started running across the road before the lights began flashing again, he pointed out. Fortunately, Kusekoski said, traffic had not begun to move, so the children made it safely to the other side. “So I’ve written a letter to Commissioner [Alan] Maio and suggested that he work with FDOT to try to come up with a couple of solutions,” Kusekoski continued. One idea would be to incorporate a timing delay into the operation of the lights, Kusekoski said. An inquiry was sent to Sarasota County staff and to FDOT on April 13 to ask whether any action had been taken on Kusekoski’s communication.